Odyssey? Was wondering if it isn’t too intense a word for a person who has been running for the past 4 months only? But, the journey has just started. So, it’s justified. We Homosapiens do most things in life for our bodies or for our minds. I do my running a bit for my body, but mostly for my soul. Running has somehow managed to fill up the missing piece in my labyrinth of life. My tryst with running started around a year back as I wanted to give company to my 11 year old daughter who wanted to take part in 3 and 5 km runs. I was petrified of letting my daughter run with strangers. Not to forget at that point in my life, I felt that I had become overweight and sloppy and I used to suffer from frequent migranes. 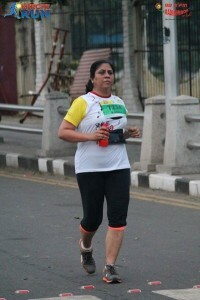 So, I felt that running would bring back that missing edge and zest in me back, and boy! Am I glad I made that decision. I feel exhuberant after my runs and its been ciao to headaches too. Getting up early in the mornings and to take part in trainings and runs was at first excrutiating for a month, but, later on that me time in the mornings was turning out to be joy. Going for runs early mornings put me in a good frame of mind for the rest of the day. The camaderie and bonding with my group has been another Ahaa Factor for me. Look forward to meeting them and running with them. 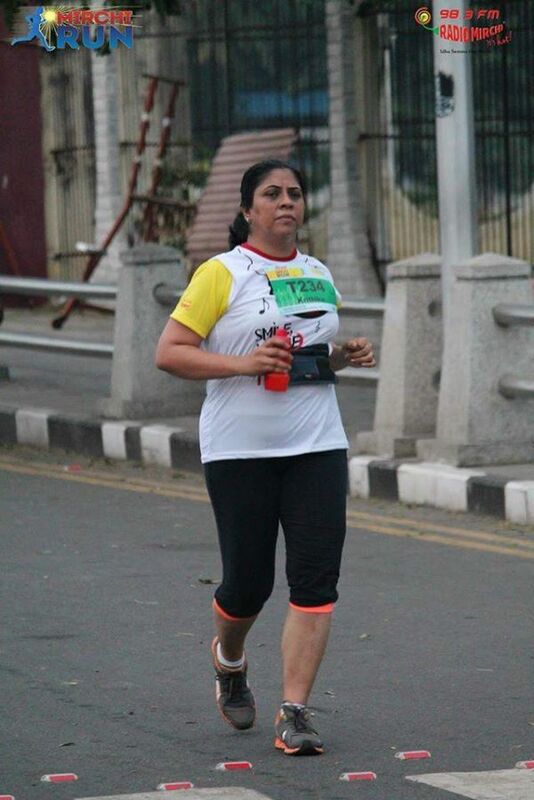 When I’m running, its just me – Krithika doing something in the pursuit of happiness without me being in some role play in the myriad of everyday relationships. Do I run for health, some causes? Mostly I run because it makes me feel alive on a cellular level and gives me a sense of balance and gratitude.